We've been writing a lot recently about how the private space industry is poised to make space cheaper and more accessible. But in general, this is for outfits such as NASA, not people like you and me. Today, a company called NanoSatisfi is launching a Kickstarter project to send an Arduino-powered satellite into space, and you can send an experiment along with it. Whether it's private industry or NASA or the ESA or anyone else, sending stuff into space is expensive. It also tends to take approximately forever to go from having an idea to getting funding to designing the hardware to building it to actually launching something. 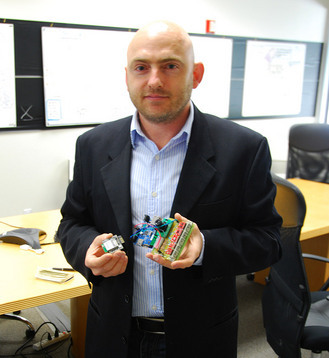 NanoSatisfi, a tech startup based out of NASA's Ames Research Center here in Silicon Valley, is trying to change all of that (all of it) by designing a satellite made almost entirely of off-the-shelf (or slightly modified) hobby-grade hardware, launching it quickly, and then using Kickstarter to give you a way to get directly involved. 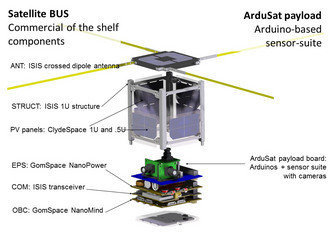 ArduSat is based on the CubeSat platform, a standardized satellite framework that measures about four inches on a side and weighs under three pounds. It's just about as small and cheap as you can get when it comes to launching something into orbit, and while it seems like a very small package, NanoSatisfi is going to cram as much science into that little cube as it possibly can. Yeah, so that's a lot of potential for science, but the entire Arduino sensor suite is only going to cost about $1,500. 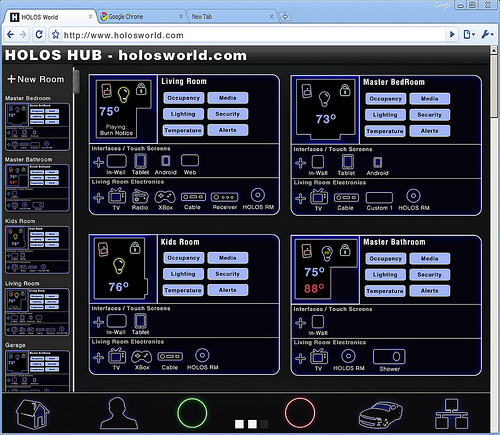 The rest of the satellite (the power system, control system, communications system, solar panels, antennae, etc.) will run about $50,000, with the launch itself costing about $35,000. This is where you come in. NanoSatisfi is looking for Kickstarter funding to pay for just the launch of the satellite itself: the funding goal is $35,000. Thanks to some outside investment, it's able to cover the rest of the cost itself. And in return for your help, NanoSatisfi is offering you a chance to use ArduSat for your own experiments in space, which has to be one of the coolest Kickstarter rewards ever. 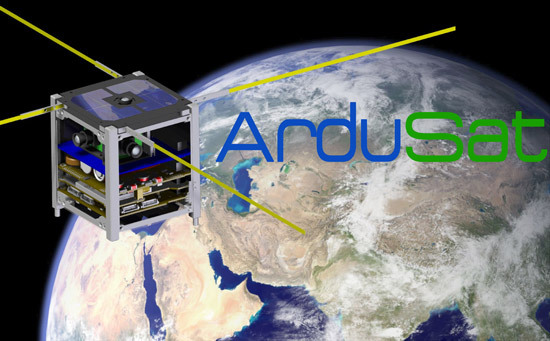 For a $150 pledge, you can reserve 15 imaging slots on ArduSat. You'll be able to go to a website, see the path that the satellite will be taking over the ground, and then select the targets you want to image. Those commands will be uploaded to the ArduSat, and when it's in the right spot in its orbit, it'll point its camera down at Earth and take a picture which will be then emailed right to you. From space. For $300, you can upload your own personal message to ArduSat, where it will be broadcast back to Earth from space for an entire day. ArduSat is in a polar orbit, so over the course of that day, it'll circle the Earth seven times and your message will be broadcast over the entire globe. For $500, you can take advantage of the whole point of ArduSat and run your very own experiment for an entire week on a selection of ArduSat's sensors. You know, in space. Just to be clear, it's not like you're just having your experiment run on data that's coming back to Earth from the satellite. Rather, your experiment is uploaded to the satellite itself, and it's actually running on one of the Arduino boards on ArduSat real time, which is why there are so many identical boards packed in there. Now, NanoSatisfi itself doesn't really expect to get involved with a lot of the actual experiments that the ArduSat does: rather, it's saying "here's this hardware platform we've got up in space, it's got all these sensors, go do cool stuff." And if the stuff that you can do with the existing sensor package isn't cool enough for you, backers of the project will be able to suggest new sensors and new configurations, even for the very first generation ArduSat. To make sure you don't brick the satellite with buggy code, NanSatisfi will have a duplicate satellite in a space-like environment here on Earth that it'll use to test out your experiment first. If everything checks out, your code gets uploaded to the satellite, runs in whatever timeslot you've picked, and then the results get sent back to you after your experiment is completed. Basically, you're renting time and hardware on this satellite up in space, and you can do (almost) whatever you want with that. ArduSat has a lifetime of anywhere from six months to two years. 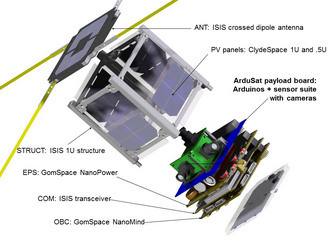 None of this payload stuff (neither the sensors nor the Arduinos) are specifically space-rated or radiation-hardened or anything like that, and some of them will be exposed directly to space. There will be some backups and redundancy, but partly, this will be a learning experience to see what works and what doesn't. The next generation of ArduSat will take all of this knowledge and put it to good use making a more capable and more reliable satellite. This, really, is part of the appeal of ArduSat: with a fast, efficient, and (relatively) inexpensive crowd-sourced model, there's a huge potential for improvement and growth. For example, If this Kickstarter goes bananas and NanoSatisfi runs out of room for people to get involved on ArduSat, no problem, it can just build and launch another ArduSat along with the first, jammed full of (say) fifty more Arduinos so that fifty more experiments can be run at the same time. Or it can launch five more ArduSats. Or ten more. From the decision to start developing a new ArduSat to the actual launch of that ArduSat is a period of just a few months. If enough of them get up there at the same time, there's potential for networking multiple ArduSats together up in space and even creating a cheap and accessible global satellite array. If this sounds like a lot of space junk in the making, don't worry: the ArduSats are set up in orbits that degrade after a year or two, at which point they'll harmlessly burn up in the atmosphere. And you can totally rent the time slot corresponding with this occurrence and measure exactly what happens to the poor little satellite as it fries itself to a crisp. Longer term, there's also potential for making larger ArduSats with more complex and specialized instrumentation. Take ArduSat's camera: being a little tiny satellite, it only has a little tiny camera, meaning that you won't get much more detail than a few kilometers per pixel. In the future, though, NanoSatisfi hopes to boost that to 50 meters (or better) per pixel using a double or triple-sized satellite that it'll call OptiSat. OptiSat will just have a giant camera or two, and in addition to taking high resolution pictures of Earth, it'll also be able to be turned around to take pictures of other stuff out in space. It's not going to be the next Hubble, but remember, it'll be under your control. Assuming the Kickstarter campaign goes well, NanoSatisfi hopes to complete construction and integration of ArduSat by about the end of the year, and launch it during the first half of 2013. If you don't manage to get in on the Kickstarter, don't worry- NanoSatisfi hopes that there will be many more ArduSats with many more opportunities for people to participate in the idea. Having said that, you should totally get involved right now: there's no cheaper or better way to start doing a little bit of space exploration of your very own. Check out the ArduSat Kickstarter video below, and head on through the link to reserve your spot on the satellite.